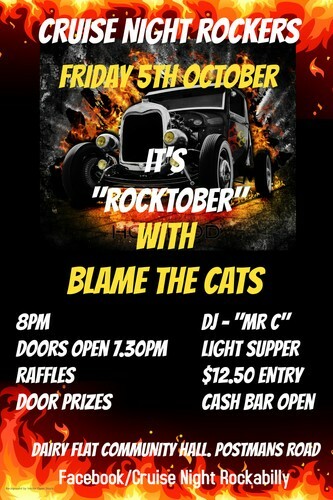 This months Cruise Night features Blame the Cats playing their special brand of Rock n Roll classics with a Rockabilly twist! Our theme this month is simply "Rocktober" so come join us and see what a Cruise Night is all about! Fun, friendship, and good music!